On February 5th Boeing rolled out the first 737 MAX 7, the third member of the MAX family to come down the line in Renton. The MAX 7 is slightly stretched compared to the 737-700, giving customers the capacity to fly 12 more passengers even farther. The airplane will have the longest range of any member of the MAX family at 3,850 nm. What’s most impressive about the MAX 7 is its ability to offer exceptional performance at high altitude airports and hot climate. Global airlines holding orders for the 737 MAX 7, as of January 1, 2017 include Kunming Airlines of China for 10, Southwest Airlines for 30, WestJet of Canada for 23 and Jetliner of Canada for 5. 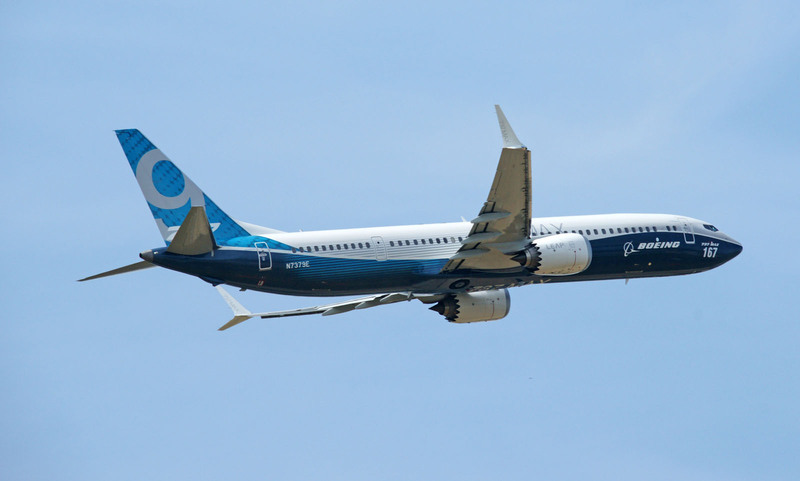 On February 16th the Boeing 737 MAX 9 has gained FAA certification, clearing the way for the second variant in the MAX family to enter commercial service. The MAX 9 has a maximum capacity of 220 passengers in a single-class configuration, 10 more seats than the MAX 8. The MAX 9’s maximum range of 3,335 nm is the same as the MAX 8, although the -9 needs an auxiliary fuel tank to reach this range. Boeing is now in the final stages of preparing the MAX 9 for its first delivery to launch customer Lion Air Group. Finally, Boeing’s MAX 10 reached a major milestone as the MAX program completed firm configuration on the airplane. 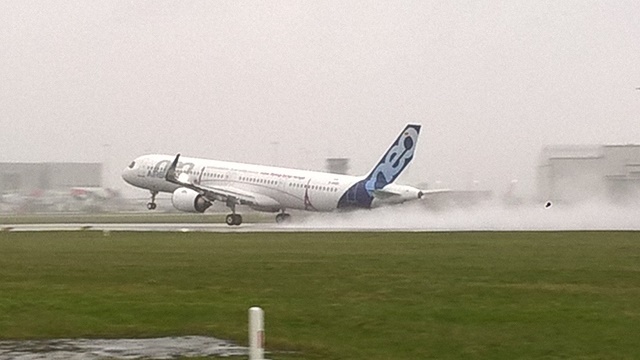 Airbus has commenced the maiden flight of its new long-range A321LR, the aircraft having lifted off from Finkenwerder airfield in Hamburg. It took off from the plant as weather conditions, including an overcast sky and rain, cleared sufficiently for the test. The test aircraft, powered by CFM International Leap-1A engines, has a new fuselage door configuration which will enable customers to fit up to 240 seats. The configuration will become the structural standard for future A321neo production. The aircraft will have a 97t maximum take-off weight and optional additional fuel tanks, giving it the capability of operating on long-range routes up to 4,000nm. The initial test flight lasted 2h and 30 min. Dassault Aviation reports receiving orders for 41 Falcon Jets in 2017, up from 33 in the prior year; the termination of the Falcon 5X program resulted in three cancellations. 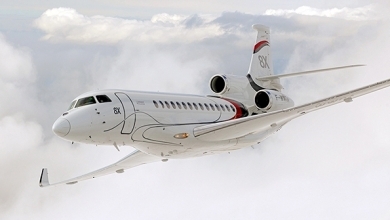 The French airframer delivered 49 business jets last year, up from a forecast of 45. Meanwhile, the company’s backlog decreased from 63 to 52 and some Falcon 5X cancellations have yet to be entered in the books. The business jet market has yet to recover from the global financial crisis of 2008. 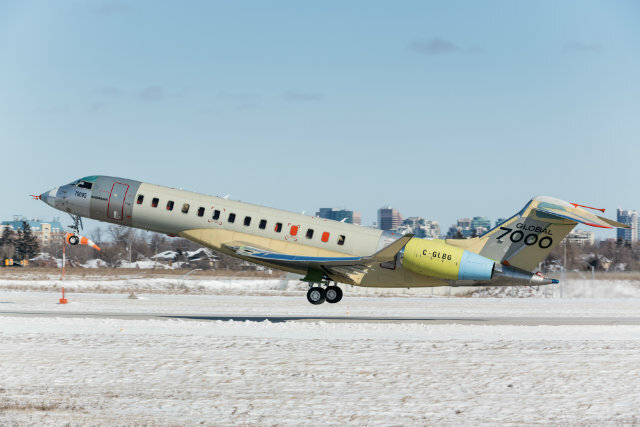 Bombardier has entered the final phase of a 14-month-old airworthiness campaign after the fifth Global 7000 business jet entered flight testing on January 30th. The debut for flight-test vehicle (FTV) 5 keeps the program on track for gaining type certification in the second half of this year. Bombardier has now logged more than 1,300 flight hours in the Global 7000 test campaign and completed fatigue testing on a full airframe, the company says. The 7,400nm (13,700km) range of a Global 7000 with eight passengers sits between the 7,000nm range of the G650 and the 7,500 range of the G650ER. The Global 7000 offers more room, with a cabin about 2.5m (8ft 2in) longer than the Gulfstream models. 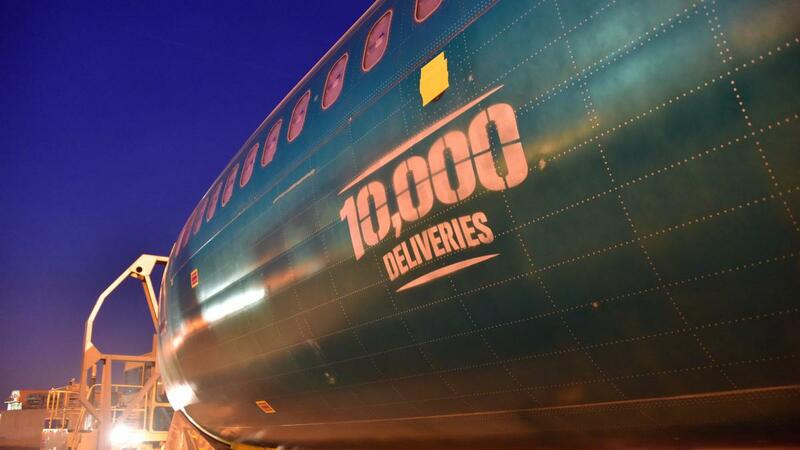 A train carrying the 10,000th 737 fuselage left Spirit AeroSystems’ factory in Wichita, Kansas on February 13, the supplier says. Spirit AeroSystems builds 70% of the 737, including the fuselage. The milestone was announced on February 14 by Spirit AeroSystems senior vice president and chief technology and quality officer John Pilla, a speaker at the Pacific Northwest Aerospace Alliance conference in Lynnwood, Washington. The milestone aircraft is a 737 Max 8 scheduled for delivery to Southwest Airlines, Boeing says. 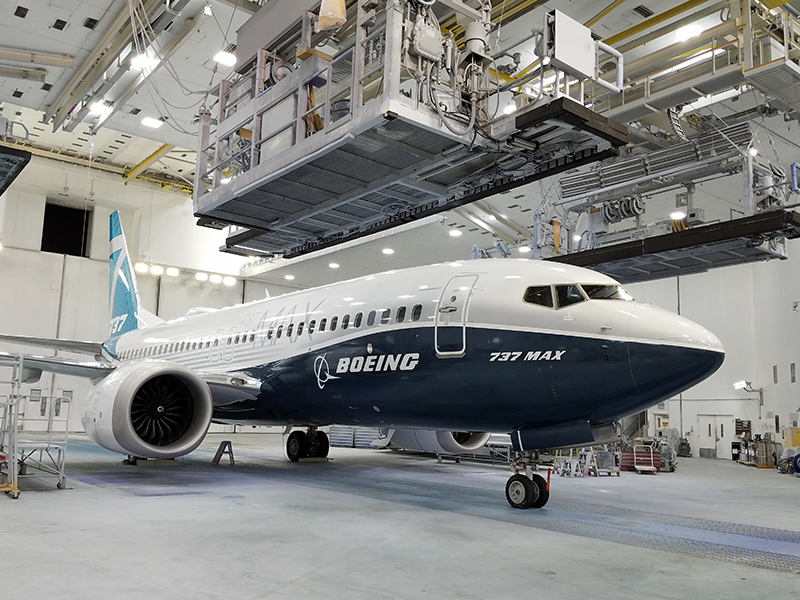 When that fuselage is integrated with wings, systems, engines and interiors in Boeing’s final assembly plant, the 737 will become the first aircraft of the jet age to achieve the 10,000th delivery milestone. The first 737-100 entered service with Lufthansa 50 years and four days ago on February 10,1968. The type has progressed through four generations, including the original 737, classic, Next Generation and Max families. Southwest Airlines flew all variants with the exception of the 737-100. Meridiana has been relaunched as Air Italy on February 19 in Milan by investors Qatar Airways and Alisarda. Akbar Al Baker pitches the “new airline” as a direct competitor to Alitalia, outlining a rapid expansion program involving several new domestic and international services. 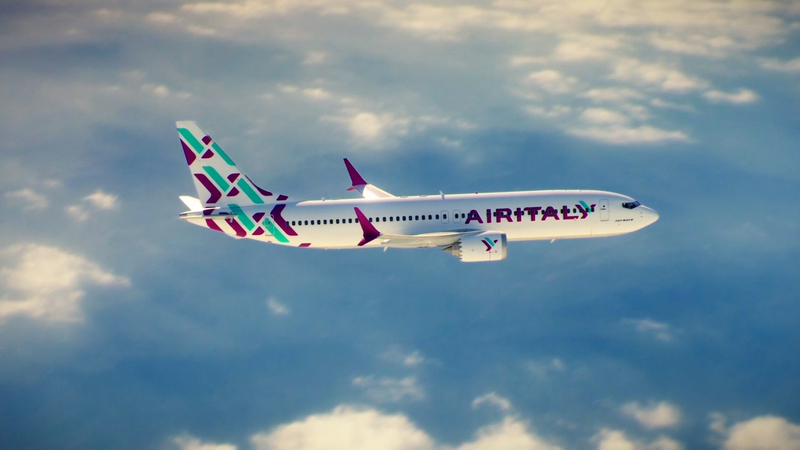 Air Italy will take 20 Boeing 737 Max 8s plus five Airbus 330s over the next three years, on lease from Qatar Airways “at market rate”. It will also take 20 787s, bringing its fleet to 50 aircraft. The airline will be based at Milan Malpensa airport. The airline will offer business-class cabins along its economy offering. Qatar Airways took a 49% stake in Meridiana last year and the remainder is held by Alisarda. 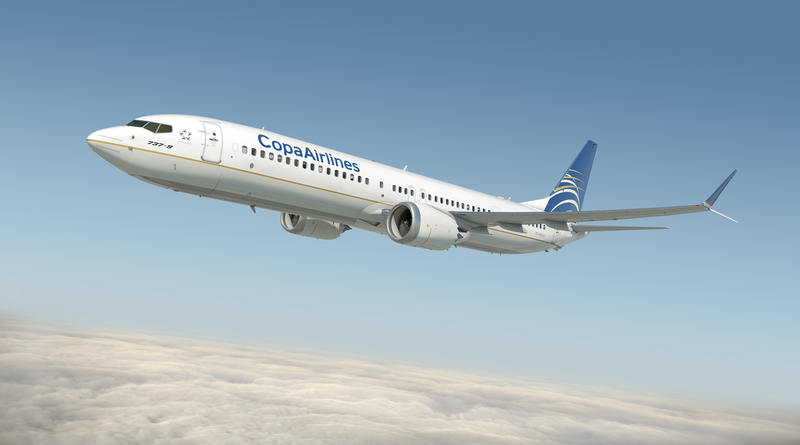 Copa Airlines flag carrier of Panama plans to grow its fleet by 25% by 2020 with the first of 71 Boeing 737 MAX arriving in August of this year. The airline should receive five 737 MAX aircraft this year, followed by 10 in 2019 and 22 in 2022, says Ahad Zamany, VP technical operations, speaking at the Aviation Week Network’s MRO Latin America event. The last of the 71 should arrive in 2025. Its Predominant fleet of 737-800s will cap out at 71 this year up from 69 in 2017. To accommodate the expanding fleet, the Panama-based carrier broke ground on a new maintenance hangar in 2017 that should be finished in the fourth quarter of this year. China Aircraft Leasing Group (CALC) placed an order with Airbus for 15 A320neos valued at roughly $1.7 billion. Sichuan Airlines has ordered 10 Airbus A350-900s, on February 9; the aircraft will help facilitate a rapid international expansion plan. Aviation Capital Group took delivery of its first Boeing 737 MAX in Seattle.The aircraft, a 737 MAX 8 variant on a long term lease to Aerolineas Argentinas. BOC Aviation will lease seven Airbus A320neo aircraft to Chongqing Airlines, with all aircraft scheduled for delivery in 2018. 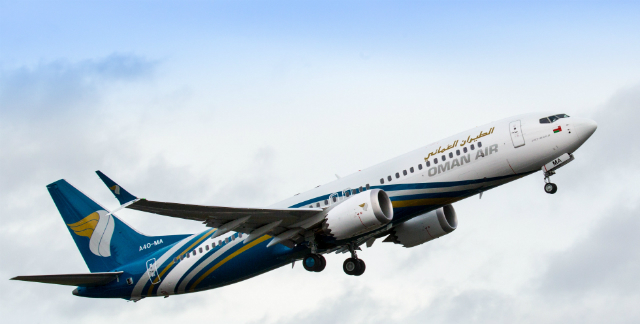 Oman Air has taken delivery of the first of 30 Boeing 737 Max 8s it has on order. Qantas has released the first pictures of its latest aircraft to bear an indigenous-inspired livery, this time on its fourth 787-9 delivered on March 2nd. UPS places an order for 14 Boeing 747-8Fs and four Boeing 767-300 Freighters. Subaru (formerly known as Fuji Heavy Industries) has completed production of the first Boeing 777X center wing box at the company’s Hanada factory. Southwest Airline announced on February 19th that it will roll out its new Southwest Cargo Suite(SCS) point -of-sale system this month and will begin international cargo shipments to destinations in Mexico in May. The carrier will kick off its shipments to Mexico, with destinations including Mexico City, Cancun, Cabo San Lucas/Los Cabos and Puerto Vallarta, pending government approvals. Southwest Airlines senior director for cargo and charters, Wally Devereaux, stated at the Air Cargo 2018 conference. The airline expects to add more routes in Mexico and the Caribbean through this year and build steadily on an international cargo business Southwest expects to be small — at first. Southwest expects healthy trade units routes between the United States and Mexico, with northbound flights likely moving perishables to the U.S.,while flights to Mexico to transport a variety of cargo, including pharmaceutical products and e-commerce goods. GE Aviation plans to open a new GE9X components manufacturing facility in Singapore and will draw on ideas and concepts from its existing parts repair center in the city-state. 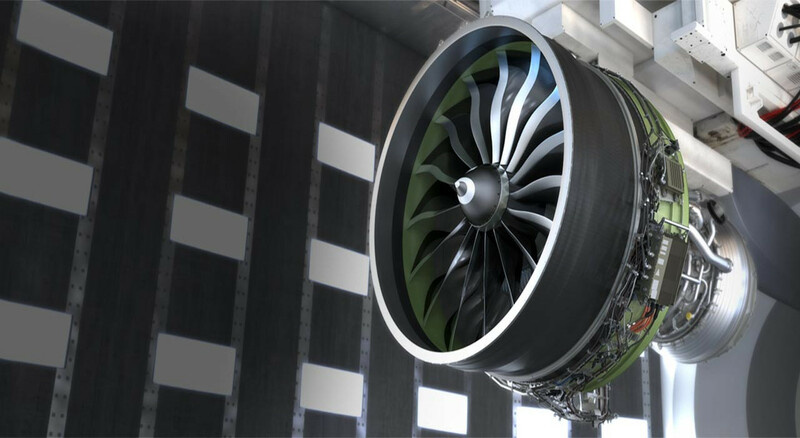 It will grow its engine components footprint in Singapore after announcing plans to establish a new center to manufacture parts for the GE9X engine powering the Boeing 777X. Announced at the Singapore Air Show on February 5, the new 50,000 square foot facility located at the City-State’s Seletar Aerospace Park will specialize in high pressure compressor vanes for the wide body engine, which to date amassed 700 orders. In the Asia-Pacific region, Aviation Week’s 2018 Fleet & MRO Forecast has an order backlog of 82 units for the GE9X,a figure not taking into account this year’s Singapore Air Show. With plans to implement digital and lean manufacturing concepts at the new facility, the engine maker said it will draw on ideas and concepts from existing Singapore repair center. Investments at the component service center include research into new repair processes’ lean lab for advanced manufacturing and utilizing the latest robotic technologies to drive greater efficiencies. These Commitments were made in anticipation of growing regional demand from engine types such as the CFM LEAP, GEnx and the GE9X. Iberia Maintenance has signed a contract to inspect &repair the Rolls-Royce RB 211 535-E4 engines powering DHL Air UK and Blue Dart’s 757 aircraft fleet. Tarmac Aerosave received a second ex-Singapore Airline’s Airbus A380 for storage at its Tarbes, France facility. 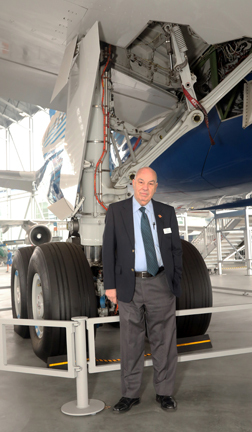 Triumph Aviation Services Asia was selected by Boeing to provide inspection, recertification and repair support on nacelle and flight control components in the Asia-Pacific region. KLM UK Engineering has a Finnair contract for Embraer E190/Airbus A320 line maintenance at Edinburgh. Spirit AeroSystems unveiled 20,000 sqft center of excellence at Wichita to focus on the fabrication of large, complex soft metal parts for fuselage, pylon and wing structures. Safran Electrical & Power was selected by Boeing to equip its 2018 ecoDemonstrator (FedEX Express 777F) with an electrical channel that includes electric power generation and distribution systems, engine and aircraft wiring, and specific electrical loads (electric fans).